Edited by Herman J. Viola and Sarah Loomis Wilson. Born in 1859 into a wealthy New York family, Loomis rebelled at the staid life projected for him and somehow persuaded his mother that he would benefit from a trip west before beginning college. 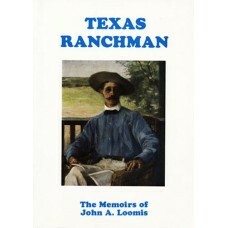 Once west, he forgot about college, and instead settled in Texas where he eventually launched a massive ranch, and continued to keep his hand in ranching until 1915. His memoirs are a delightful account of Texas ranch life at a pivotal period in western history, combining humor, readability and historical insight.